Buckle Up - TRANSIT is coming July 1, 2014! — Michael Robertson Jr. 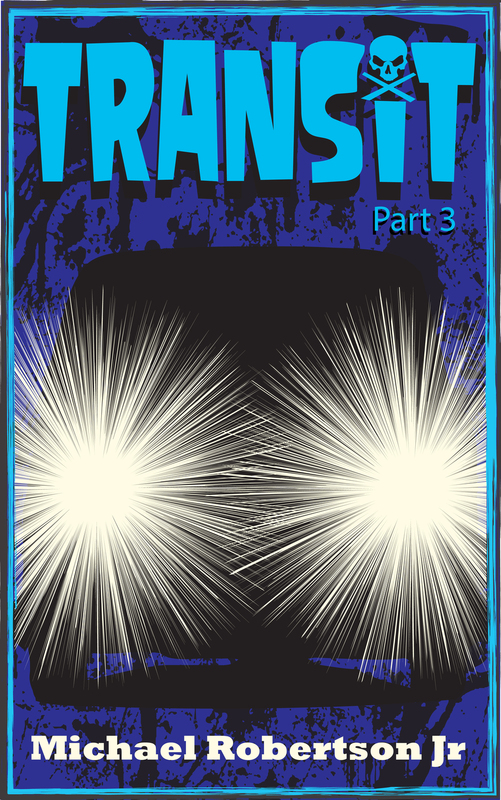 TRANSIT is going to be released as a serialized novel. What's that mean? It means that I intentionally wrote the book in four separate chunks. Think of them as episodes, like your favorite TV drama (How awesome was the end of Breaking Bad?). In doing this, I was able to keep the pace ratcheted up, and also leave each episode ending with a "Well now I've got to know what happens next!" moment. At least I hope so. The first 3 parts are around 50 pages each, with the 4th and final coming in around 100 pages. I'll be releasing the parts individually, but also will be putting out the complete story as one standalone novel. Episode 1 will release one week from today on July 1, 2014, and one episode will follow every Tuesday for the next three weeks. On July 22, the complete, full-length novel will release alongside part 4. So, you have a choice as to how you enjoy TRANSIT. As 4 high-octane episodes, or one uninterrupted novel. Either way, I hope you have a ton of fun! What's it about? Glad you asked. Check out the blurb below as well as links to pre-order Part 1 from iBooks and Kobo (sorry, Amazon and Barnes & Noble don't let me do pre-orders yet, but of course, all parts will be available on those sellers as well once they are officially released). Newer PostKindle Unlimited, Here I come! Older PostREGRET is now an audiobook!